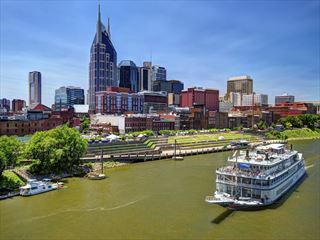 Immerse yourself in classic Southern hospitality with this ten-day escorted tour beginning in Nashville and visiting Memphis and Natchez before ending in New Orleans. An exciting glimpse into the heritage of this beautiful region, your tour showcases the sights, sounds and delicious tastes of the south with some unique and unforgettable activities along the way. From visits to the Country Music Hall of Fame to captivating dining experiences and fantastic city tours, you’ll treasure the charm and warm welcome of the south. Arrive into Nashville and check-in at your hotel. The afternoon is free for you to explore with a welcome reception back at the hotel in the evening for you to meet with your tour guide and fellow travellers. Today sees you take a unique look into the life and career of Johnny Cash with a private performance and talk given by his son, John Carter Cash. 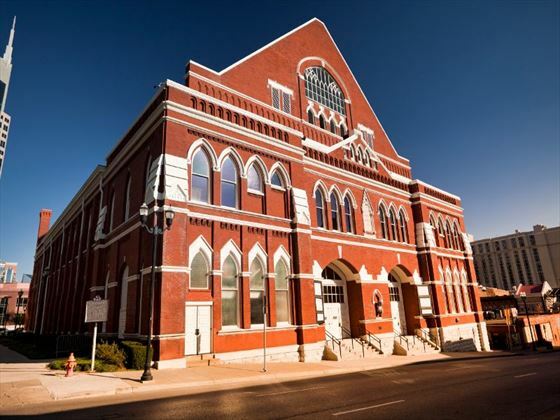 Afterwards, there is a choice of sightseeing options with a visit to the Country Music Hall of Fame, where you can see memorabilia from stars such as Loretta Lynn, Garth Brooks and Hank Williams, or a tour of the Ryman Auditorium where the biggest country music stars played to cheering audiences. Afterwards there is a visit to RCAs Studio B which is one of the world’s most famous recording studios. 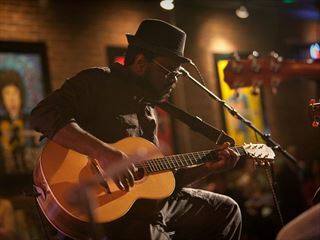 The day is yours to explore at your own pace and see what makes Nashville such as popular destination for music lovers, perhaps with a trip to Broadway Street to hear live music. 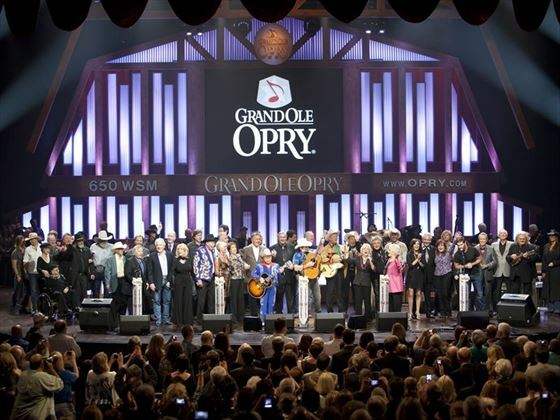 In the evening, head to the Grand Ole Opry which is home to America’s longest-running live radio show, then head out on your own for dinner to sample some delicious southern cuisine. 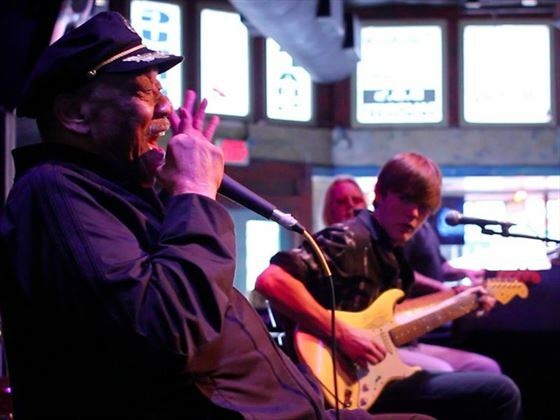 In the morning, take to the highway to Memphis along the Mississippi Delta. Upon arrival, visit the hotel where Martin Luther King, Jr. was tragically assassinated before taking an in-depth journey into the vibrant music history of Memphis with a tour of the Rock ‘n’ Soul Museum. The evening is yours to explore at leisure. 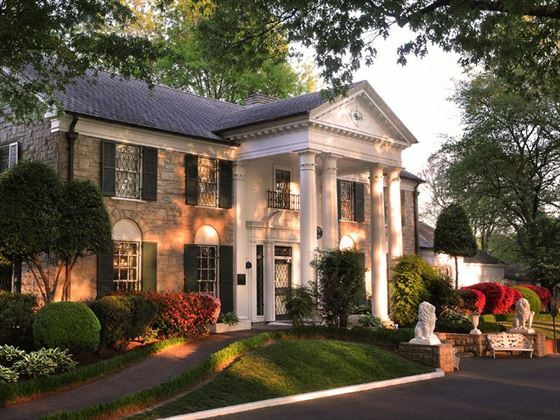 A must-see for any music fan, Graceland is a museum dedicated to the great Elvis Presley. You’ll be able to marvel at the Jungle Room and browse the many walls of platinum records and awards. Then you will visit Sun Studios where in 1951 the very first rock n roll single was recorded. This evening you can enjoy a "Your Choice" dining experience, for you to pick where you’d like to eat from a selection of local restaurants. In the morning, leave for Natchez which was founded in 1716 and home to a rich antebellum culture. In the evening, enjoy some classic Southern hospitality at two special residences in one evening. Firstly, head to the private home of Joe Stone whose property was built in the 1850s and contains a gallery collection of rare maps, a charming billiards hall and beautiful glasswork. You’ll sip on cocktails as Joe performs on the piano and explains the meaning behind the songs. Afterwards, head over to the residence of Esther Carpenter, built in 1804, to hear stories about the past and present of this historic estate. Esther, an esteemed chef, will host a delicious four-course dinner with wine for a true taste of the Deep South. Enjoy breakfast at the hotel then stop at Frogmore Plantation and Gins to learn about the white gold of the Mississippi Delta, before visiting a reconstructed 19th Century cotton plantation to witness a modern-day operation that produces over 900 bales every day. 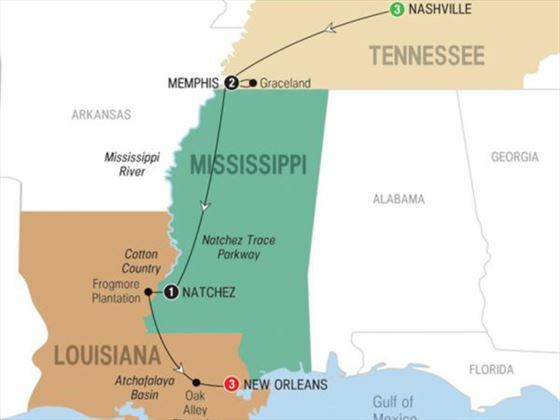 From Natchez, you’ll travel to the countryside to visit the Oak Valley Plantation – a classic antebellum home that is situated on the Mississippi River and plays host to a 300-year-old canopy of live oak trees that spans more than a quarter of a mile. 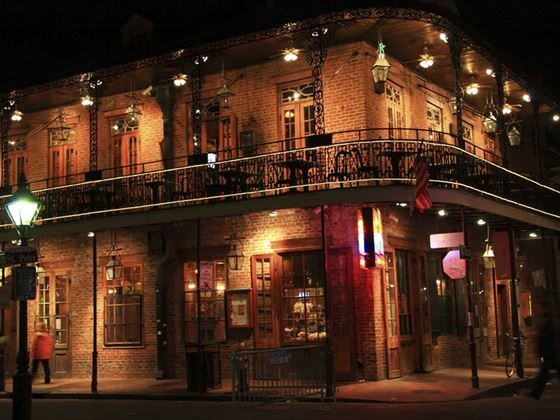 This evening, upon arrival into New Orleans, you’ll visit the New Orleans School of Cooking in the heart of the French Quarter for some classic Creole creations. 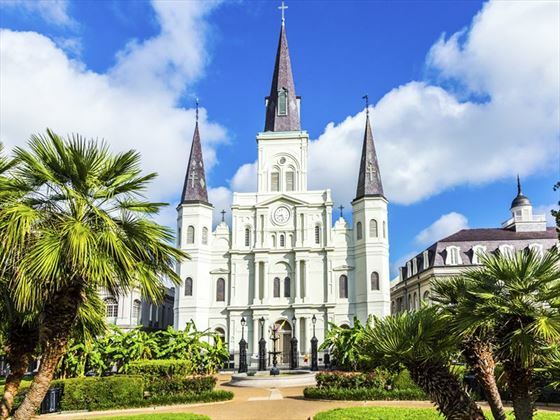 Today begins with a hearty New Orleans breakfast with coffee before heading off in exploration of the Crescent City – you’ll join a tour with a local guide who will showcase the French Quarter and Jackson Square, as well as one of the city’s over ground cemeteries. In the afternoon, you’ll enjoy some free time to make the most of the city and its many attractions. Today is a leisure day to explore at your own pace and make the most of your time in the city. If you’re looking for an adventurous activity, head out to the bayou for a guided tour of the swamps in search of alligators. Alternatively, stay downtown and wander along Magazine Street or visit Marie Laveau’s Historic Voodoo Museum. In the evening, join your group for a final farewell dinner at the famed Court of Two Sisters. Daily flights available with United Airlines, American Airlines, KLM, Delta Airlines, British Airways, and US Airways. Early Booking Offer Book and pay for your 2019 tour by 30 Apr '19 and save up to €200pp Discounts included in advertised prices.